2018 WBYO Dreams Film Festival Photos! 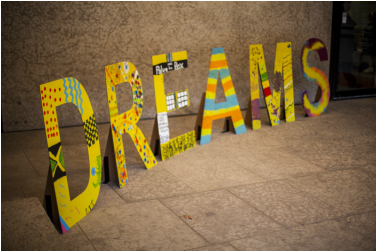 The 2018 Dreams Film Festival showcased the film our Dreams Career Mentorship kids made! Here are the photos from the festival celebrating all the hard work our Dreams kids put into their amazing film. Way to go guys, we are so incredibly proud of you and your achievements! Announcing the 2018 WBYO Dreams Film Festival & Call for Submissions! Tickets are also available at the Maryland/Westminister Food Fare and West Broadway Youth Outreach (pick-up at 646 Portage or call 204-774-0451)! The 3rd West Broadway Dreams Film Festival will take place on September 21, 2018 at the Winnipeg Art Gallery. The evening will be filled with art, food, drink, dreams, and inspirational films from a variety filmmakers. The festival will showcase a short film created by the children participating in the Dreams Career Mentorship Program. This film was inspired by Dreams meetings and experiences of growing up in Winnipeg’s Inner City. Filmmakers have the opportunity to participate by submitting films focused on inspiring individuals to follow their dreams and reach their potential to an audience of over 300! See below for application details. This year’s festival will be focusing on short films for celebrating children and youth. It’s an incredible opportunity to showcase your film as well as inspire future filmmakers in the city. Selected films will be shown alongside a short film created by the children participating in the Dreams Career Mentorship Program. A Jury will award a best of fest ($300) and the audience will award the audience choice ($300). NO ENTRY FEE! but please note: The WBYO Dreams Film Festival is not created to premier work, but to have a curated evening of great films! Films that inspire children to pursue their dreams or take positive action within their local or global community. Must be suitable for all children. All forms of cinema are accepted (narrative, documentary, experimental, animation and so on…). The 2nd West Broadway Youth Outreach Dreams Film Festival took place on September 11, 2015 at the Winnipeg Art Gallery. The evening hosted music, food, drink, dreams, and inspirational films from Manitoba filmmakers. The festival showcased a short film created by the children participating in the Dreams Career Mentorship Program and was a memorable evening for all that participated. Bravo filmmakers and thank you!!! Thank you to our past generous Sponsors!